Chicago is a hidden gem. I don’t think the city gets as much attention as it should. But that’s okay because it gives me the opportunity to share with you what a beautiful city it truly is. If you want to see the photogenic side of Chicago, check out my top 15 most photogenic places in Chicago post here! 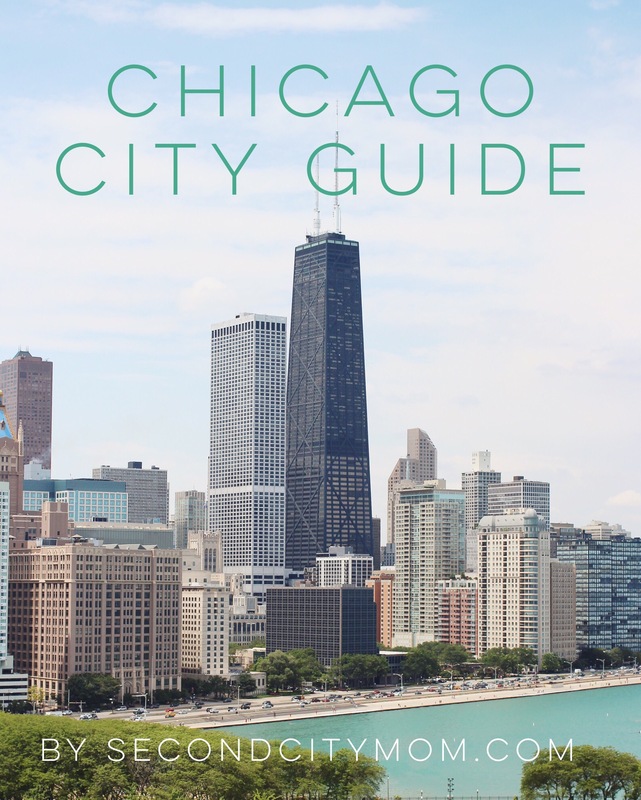 From time to time, I get asked by friends, readers, and Instagram followers who are planning their visits to Chicago on what to do, where to eat, etc. I normally draw a blank when asked because Chicago offers so much to do and see that it’s hard to pinpoint to just a few things. So I’ve decided to include this page to direct people to and as a way for me to track what I like to do. Most of these recommendations are kid-friendly. Most of all, they will provide you with the the chance to experience the beautiful side of Chicago. For those who don’t live in Chicago, I’ve included a neighborhood map of Chicago for reference. The city is made up with many diverse neighborhoods. Each neighborhood is unique and offers a little something different but together they make the city such a great place to live and explore. You cannot go to Chicago and not stop by Millennium Park to see Cloudgate (aka The Bean), Pritzker Pavilion, and Crown Fountain for the changing faces. Remember to bring a towel and change of clothes because your kids will sure want to run and splash in the water. Just east of Millennium Park is Maggie Daley Park which is a huge playground for kids of all ages. Beware of the fun and scary slides! For a park that has great city views, my favorite is Milton Lee Olive Park, which is a short walk outside of Navy Pier. We even had our family portraits here a few years ago. If you happen to be shopping on Michigan Avenue and your kids get weary or need a place to just run around, you can stop over to Seneca Playlot Park (228 E. Chicago) behind the historic Water Tower. You won’t miss the historic firehouse next door for your littles to talk to real life heroes. The best way to see the city, especially on a nice day, is on an architecture boat tour. Enjoy hte views and learn about the architectural history of the buildings that make up the beautiful skyline. You can’t go wrong with any of these boat tour companies: Chicago First Lady Cruises, Wendella, and Shoreline. If you don’t like being on a boat, there are walking tours. And if you want to skip the tours all together, walk down to the end of LaSalle Blvd or the Chicago Board of Trade in the Loop (my favorite street in the city, especially for pictures). While you’re there, walk into The Rookery Building, with the interior architecture designed by Frank Lloyd Wright. The Art Institute of Chicago is one of my favorite museums because it has such a vast selection of art from all over. Be sure to visit the Modern Wing when you’re there and walk along the Nichols Bridgeway, which connects the Art Institute to Millennium Park. And visit the South Garden of the museum (it’s a hidden gem!). If you happen to be at Navy Pier and looking for more activities for your kids to do or to beat the heat (or cold), head over to the Chicago Children’s Museum. The museum has multi-rooms with different activities for your kids. Our Saturday mornings are not complete without a doughnut and Chicago has more than its fair share of doughnut shops…and we can’t be happier. Our favorite is Doughnut Vault for the triple chocolate and the vanilla glazed. Depending on the day, be prepared to stand in line. Remember, they close when they sell out, which can be early in the morning. If you don’t want to stand in line, you can get some of Doughnut Vault’s doughnuts (with less flavors and options) at 3 Greens Market, which is their sister restaurant, about a few blocks away. Our other favorite is Firecakes Donuts which offers a fun selection and flavor of donuts as well as the Ice Cream Donut Sandwich. In the winter, we love to stop by for their Belgium hot chocolate that comes with a huge marshmallow cube. Loop: Hero Coffee located in a historical alley – Pinwick Lane (22 E. Jackson). The place is very “Instagrammable”. The Intelligentsia Coffeebar at Millennium Park is always a great little refuge from the hustle and bustle from the park crowd. West Loop: I’m a regular in the West Loop and love frequenting The Allis for coffee dates, Sawada Coffee for their green tea lattes, especially the military latte, and La Colombe for a strong cup of coffee.// I strongly recommend taking a walk around this area. There’s an alley off Green St, that connects RM Champagne and Green Street Smoked Meats that takes you back in time. The best words for it are whimsical and vintage. Lakeview: Heritage Bicycles and Coffee. You don’t need to have a bike to drink coffee here. West Town: Big Shoulders Coffee is a little west of downtown. The marshmallow latte is my favorite. It’s near the Chicago Blue Line stop. I admit, most of the brunch places we go to are north of the city. Some of my favorite are m.henry in Andersonville (for their blackberry blisscakes), Bang Bang Pie and Biscuits in Logan Square, La Fournette in Old Town for everything French, and Over Easy Cafe in Ravenswood (the sassy eggs are my favorite). If you want a fancy brunch located in the Gold Coast, inside a Restoration Hardware store, try to snag a reservation at 3 Arts Club Cafe. Okay, so here’s the hard part, recommending lunch and dinner places because I have so many. I’ve tried to narrow it down based on neighborhood. Downtown/Loop: Eataly Chicago and Mercat a la planxa. Bucktown/Wicker Park: Antique Taco (the shrimp tacos are to die for) and Nando Milano Trattoria. River North: GT Fish & Oyster (they also have a great brunch); Siena Tavern (love the lobster roll); Tanta (for good Peruvian food). If you can snag a reservation at Bavette’s Steakhouse…do it! For some good Instagram photo ops, check out The Hampton Social. Old Town: Topo Gigio (my favorite Italian restaurant in the city). Logan Square: Wasabi (for the best ramen in town). Gold Coast: Maple and Ash (my favorite steak house in Chicago). Andersonville: Hopleaf (for beer and mussels). If you’re in Chicago for shopping, there’s Michigan Avenue (of course). One of my favorite shops in Chicago is P.O.S.H. It’s a Francophile’s dream. But most of all, it’s a great place to buy unique gifts. Check out the courtyard in the back when you’re there. Lincoln Park: Armitage Avenue for some fun boutiques. // Bucktown/Wicker Park: Milwaukee Avenue is full of vintage shops as well as unique boutiques. // Lincoln Square: Lincoln Avenue has some of the best local boutiques and German bars. // Andersonville: Clark Street is lined with local boutiques and well as some Swedish shops. Be sure to visit Brimfield when you are there. // Gold Coast: Oak Street and Rush are a luxury shopper’s dream. Summer in Chicago is the best time to visit because that’s when all the rooftop bars and restaurants open up. These places offer some of the best views of the city: Cindy’s (located at the Chicago Athletic Hotel), The J. Parker (located in Lincoln Park at Hotel Lincoln), and LondonHouse (I haven’t been here but from the Instagram pictures, it’s on my list). Most of these rooftops are a part of the hotel but you don’t have to stay at the hotels to enjoy a cocktail or the views there. Chicago is full of beautiful murals all over the city. Most of them are in Logan Square and Pilsen although some are popping up in River North, South Loop, and Lincoln Park. If you have the time, I highly recommend you spend the time to see the works of art. There are far too many to name but one of my favorites is the one above, which is located in Logan Square near the California Blue Line stop. Also, check out Luke’s Favorite Murals in Chicago post! If you really want to venture outside of the downtown, I highly recommend visiting The University of Chicago campus in Hyde Park. It will seriously take you to another world and reminds of what it would be like in Harry Potter’s world. If you’re hungry, grab some coffee or snacks at Plein Air Cafe and then take a tour of The Robie House, designed by Frank Lloyd Wright. I couldn’t agree more with your m.henry recommendation! Their brunch is amazing! Love this guide you put together! Thanks so much, Jenn! I had fun putting this guide together! and yes, I could eat m.henry’s blackberry bliss cakes every day if I could! You are spot on with Antique Taco in Wicker Park. Tasty Margaritas and hip ambiance makes it an all around experience. Love this!